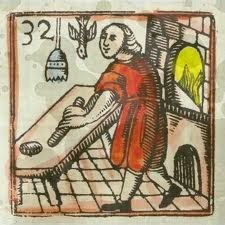 After several years eating pølser in Denmark I figured it was time to see what was going on in Sweden. 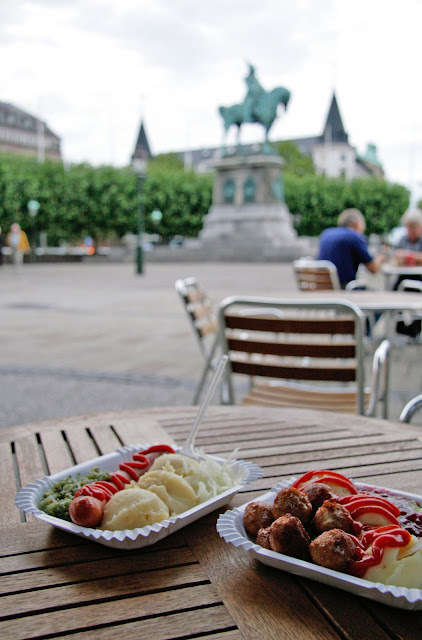 I had heard about hotdogs with mashed potatos on top, and shrimp salad and the famous tunnbrödsrulle so i was excited to taste these exotic hotdogs across the Øresundsbro. 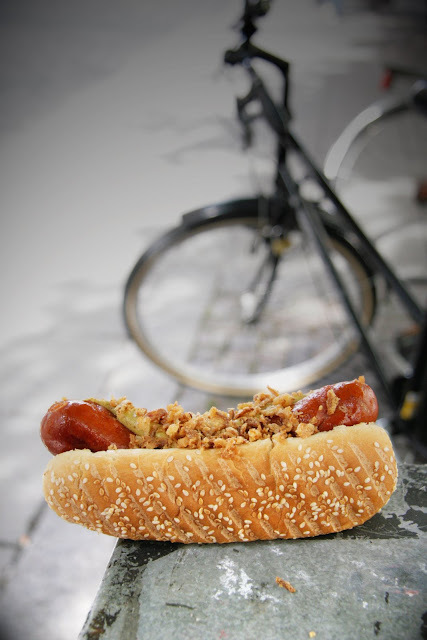 Hotdogs are called korv in Swedish and are served from a korvkiosk. korv was first served in Stockholm in 1897 by "korv ladies" carrying trays of hotdogs around their necks, then sold from kiosks in the 1950's. Most kiosks are stationary, unlike carts in America or Denmark. 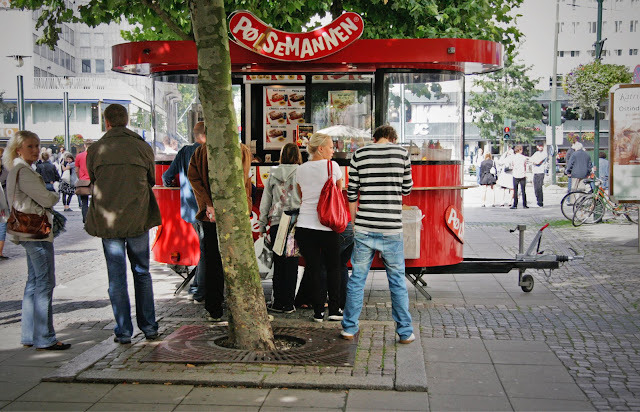 My first stop was "Pølsemannen" a mobile kiosk selling a limited selection of dogs in a large "Chicago" bun. This was a pleasant suprise because in Scandinavia the regular bun you get is so small I couldn't help but laugh out loud when I was first served one. 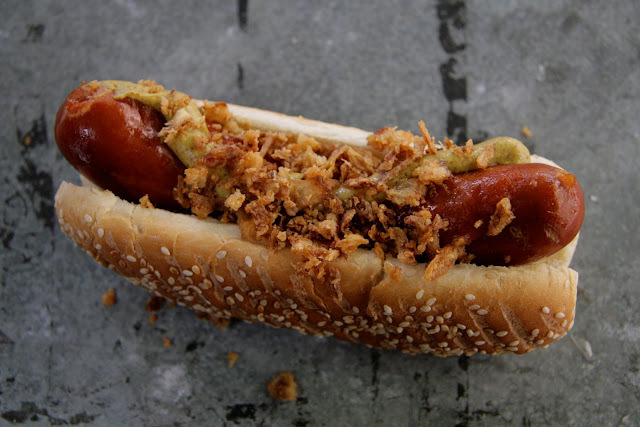 I had a chorizo with mustard and crisp onions. A tame but tasty start to the day. 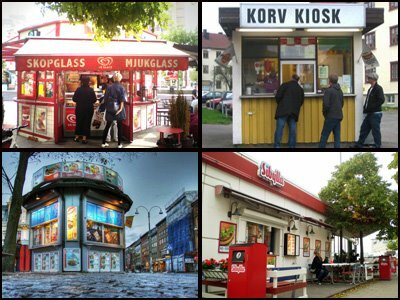 My next stop was a larger korvkiosk serving all types of korv as well as burgers and ice cream. This time i tried a korv topped with räksallad (shrimps in mayonaise). It was messy, but good. 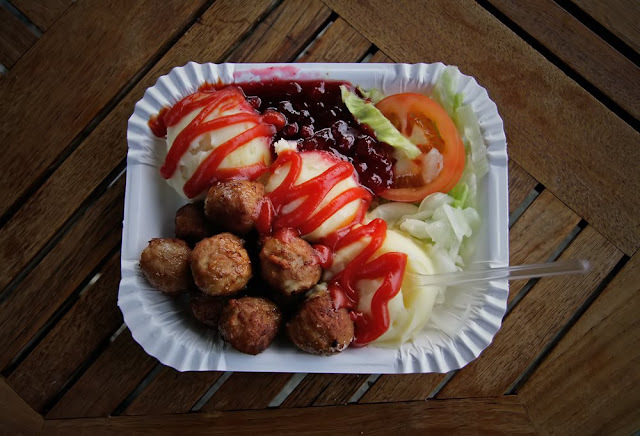 After a few beers on an outdoor patio we moved on to another place and tried a korv with mos and bostongurka as well as the swedish specialty köttbullar with lingonberry sauce. Both were good, but very filling. Unforunately I left the biggest for last. Tunnbrödsrulle is a monster. 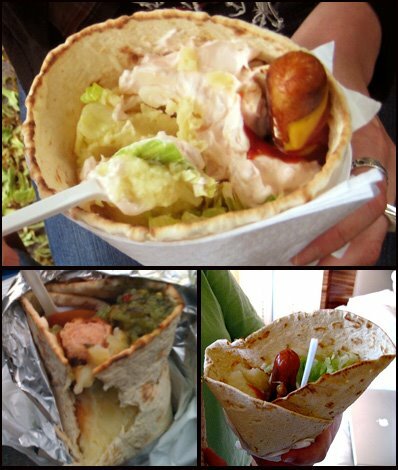 Two korv wrapped inside a tortilla like flat bread with mashed potatos, shrimp salad, relish, mustard, and ketchup. This is the classic late night after pub food. I was too full. It was too much, even for me. I promise I will go back soon and try one with the chocolate drink "pucko", but not today! Hee hee! I am from the US but living in Norway for a few months. 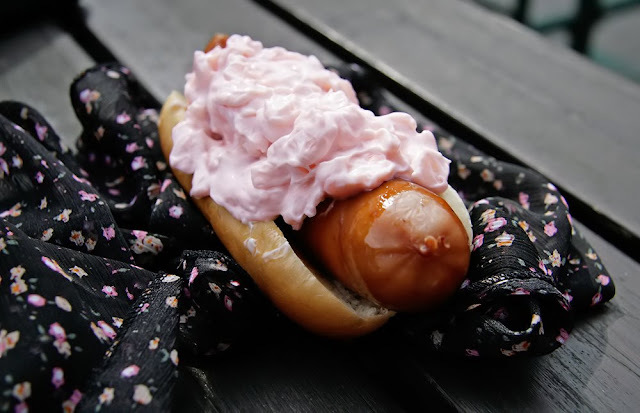 Still getting used to the Scandinavian hotdog obsession. Being half Swedish, I can really relate to this. Wonderful post.